The allegations of sexual harassment leveled against a retired Supreme Court judge by a law intern, who graduated from National Juridical Sciences University (Kolkata), has led to hue and cry in the legal circles. The allegation which was first posted on the law graduate’s blog on November 6, received the Supreme Court’s attention and Chief Justice of India P Sathasivam immediately constituted a three-judge panel consisting of Justices RM Lodha, HL Dattu and Ranjana P Desai to probe in to the allegations. Several members of the legal fraternity have shared their views and opinion about the incident. 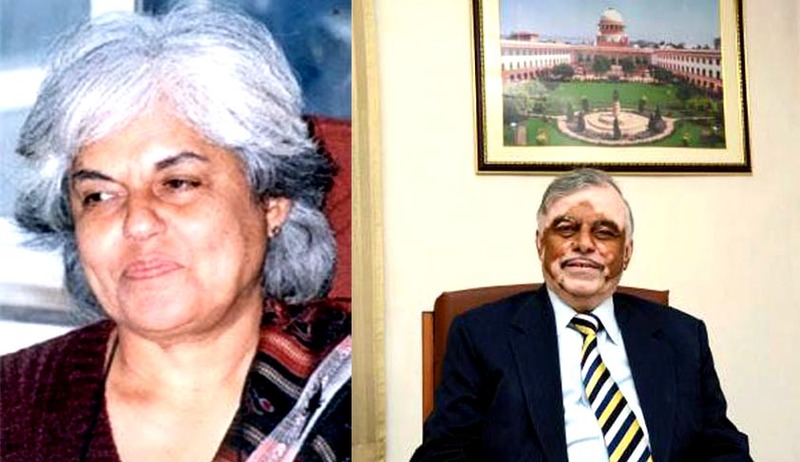 The Additional Solicitor General of India Indira Jaising wrote an open letter to the Chief Justice of India talking about the issue of sexual harassment in the workplace. The letter says that although the Chief Justice has constituted a committee of three judges to look into the allegations, the terms of reference to the committee have not been made aware of. According to the ASJ, there may be many more women who have a similar story to share as that of the NUJS intern. She feels that the functioning of such committees must be transparent as failure to do so would lead to motivated rumors, as has happened in the present case. Rumors are that the intern has not named the judge in question which in turn is creating immense disrespect to the legal fraternity. The ASJ feels the reason which led to vitiating the atmosphere for a fair enquiry into her allegation, is the lack of transparency in the functioning of the committee, and therefore it is necessary that while dealing with such complaints or enquiries the Supreme Court as an institution and in full court take a decision on the procedure to be adopted. The letter further says that considering the fact that two incumbent chief justices are there are on this committee, the procedure they follow really matters and also the way they would approach the issue judicially, when called upon to do so. In the letter to the Chief Justice, the ASJ stated that a full court decision would enhance the credibility of the decision-making process and the profile of the court as an institution, which is interested in addressing the issue of sexual harassment at the workplace not only of interns, but also of lawyers and staff. The ASG is of the view that the impression that a bias was in operation (when judging a member of your own fraternity) would be removed if there is an outside member on the committee. Further, the issue of junior women lawyers facing sexual harassment by senior lawyers also needs to be dealt with by treating such behavior as an interference with the course of justice and dealt with as contempt of court. Talking about the sexist remarks in petitions, judgments and statements of judges on public platforms, the ASJ said these issues are not considered with the seriousness they deserve by the Court as an institution. The letter expresses discontent on the absence of a standing committee on gender justice of judges, as there is in most important constitutional courts around the world, to look at the use of sexist language and practices or laws and judgments that need systemic elimination and correction and not just in individual cases by the appeal process. The so-called suggested solution of not taking women interns, according to the letter, is worse than the problem that is doing the rounds. According to the letter, the first step should be to make the report of the committee of three judges public as soon as possible so that the impression is not created that the Supreme Court is shielding the brotherhood of judges. If it is not done, then all judges will be suspect, those who are gender sensitive and those who are not, and that is not in anyone's interest. Talking about Article 51A of the Constitution of India, the ASJ said it is our constitutional duty to renounce practices derogatory of women.